There’s an unfortunate lack of books that a) comprehensively cover Native American history, b) do so in a way that is respectful of Native people, c) illustrate why Native American history is important, and d) are actually readable and accessible by the general public. But I’ve attempted to cobble together some kind of list of recommendation, aimed at people who are interested in learning more about Native history but don’t really know where to start, with a heavy emphasis on why and how Native American history is important on a world scale, since that seems to be something many people need clarified. 1491 by Charles Mann. I would pretty much call this the number one must-read book on Native American history for the non-specialist. This book does a lot of things all in one: it directly addresses the assumptions that are made about Native history, it covers the history of the study of Native history and how it’s impacted those assumptions, and it covers an incredible range of indigenous history itself. There’s a great analysis of the political situation of Tisquantum and the northeastern communities, there’s Maya history, there’s Inka history, there’s a great section on the Amazon that was entirely new to me. It’s not a perfect book, but it’s probably the best out there right now for a general overview. 1493 by Charles Mann. Okay, I have not actually finished reading this yet–in fact I really only just started. But I’ve heard good things. Whereas 1491’s main focus is precolumbian history, 1493 is mostly about the world-altering effects that occurred as a result of the Western hemisphere and Eastern hemisphere coming into contact. Based on what I’ve read so far, I’m not as big a fan of it as 1491, but it’s still probably worth a read. Lies My Teacher Told Me by James Loewen. This focuses specifically on the failures of textbooks and grade school education about United States history, focusing on treatment of Native American and African American history in particular. Your mileage may vary on the textbooks cited; my experience in school was better than a lot of them but it doesn’t change the fact that they are all textbook that were and are in use. The thrust of his argument is that the way the narrative of American history is taught in most schools is not just damaging, but that it is also boring. In addition to this critique though, there’s just a plain lot of really great historical details on various eras of US history that most people don’t know about because they’re not deemed fitting for the narrative. Highly recommended. Encyclopedia of American Indian Contributions to the World. This isn’t exactly something you can sit down and read start to finish, but I would definitely recommend checking it out and flipping through it if you can find a copy. It’s an incredible answer to the idea that Native Americans lacked technology, and although it’s necessarily a brief overview, there are sources provided at the end of each entry if you want to look into a particular topic further. Indian Givers: How the Indians of the Americas Transformed the World by Jack Weatherford. I have a lot more reservations about this than the other books listed here, and I’m still not convinced that there isn’t a better book out there that does the same kind of stuff this one does. But I haven’t found it yet, and I just read this one, so it’s going on the list. This book is really frustrating in that it does a bad job of treating Native people as people with full-fledged agency and motivation, but it is a pretty good overview for the unfamiliar of the extent to which Native Americans shaped the course of world history. I include it because a lot of people commenting seem to be of the opinion that Native American history isn’t as important because it had no impact other than being dominated. This book says otherwise. The Earth Shall Weep by James Wilson. It’s been a while since I read this, but it’s a general overview of indigenous history in the territory of the modern United States from about 1500 to 1900. It does a nice job of showing how archaeology, written records, and oral traditions can be combined to tell a story, and it’s a very good place to start getting a general grounding in Native history in the United States, as it covers most regions of the country at least briefly. You should note that none of these are by Native authors. This frustrates me, but I can’t think of any books by indigenous authors that cover this kind of broad territory off the top of my head, though I’ll definitely do some digging. There are a variety of reasons, such as the fact that Native historians tend to either focus on their specific nation’s history or to be engaged in very theoretical work on indigenous history, the fact that much of Native-written history is intended for Native audiences rather than non-Natives, and the depressing fact that non-Natives are very, very frequently taken as authorities on Native history over Native people themselves. Not to mention how the academic system discourages Native people from getting involved in history. If anyone can think of something along these lines, please let me know, and of course do put other recommendations in the comments if you know them. Hopefully this can be of use to some people who don’t know where to start! Where do you “find” indigenous history? First of all, welcome, to the rather overwhelming number of new people who have made their way to this blog in the past few days. I know there are a lot of people commenting that Native American history gets the treatment it does because of lack of writing and use of oral hisory, so I wanted to address: where does knowledge of indigenous history come from? How is it that “we” (multiple we‘s really: academia, laypeople, Natives, non-Natives…) know things about indigenous history? The difficulty, of course, being that the history of the Americas has been on an institutional level told with the voices of Europeans and their descendants as the protagonists, with indigenous people only included marginally as necessary to tell the European-American story. Each of these has its own merits and challenges and each plays a different part in telling indigenous histories. Archaeology is key to indigenous history before about 1500, since before then there are very few written records and oral history tends to be less detailed the further back you go. You find a site, do some careful digging, record everything you find, and draw some conclusions. And then you have century-long debates over how to best interpret the things you found. There are a couple of difficulties with using archaeological data for writing indigenous history. The data you get is not what people think of when they think of history–it’s generally a lot of burials, foundations of old houses, and a truly astounding amount of pottery shards. And you examine the stuff found in different places and over time and try to draw conclusions about what happened. Which is difficult, for many reasons. First of all, archaeological “cultures” (groupings of similar artifacts) don’t necessarily match up with linguistic, ethnic, or national cultures. And even with archaeological cultures, there’s often a lot of debate about whether the culture is a correct interpretation, because ultimately it comes down to archaeologists looking at the data and interpreting it, which different people might do differently, and it’s inherently tied to assumptions people have about the past. For instance, it was previously taken for granted that the mounds of Mississippian and Hopewell people couldn’t possibly have been made by indigenous people, just because of the assumptions white people had about Native Americans. Archaeology in North America also has a rather rocky history with indigenous people themselves. It has historically been closely linked to the theft of indigenous property and the desecration of indigenous bones, and archaeologists have often worked in complete isolation from actual living Native people, not considering the fact that it was their ancestors they were digging up. Happily there has been an increase in recent years of archaeologists working in collaboration with Native people–the Art Institute’s book Hero, Hawk, and Open Hand on pre-contact eastern woodlands people, for example, included work by a number of people descended from Mississippian and Hopewell people and showed how living elders were collaborating with archaeologists and art historians to get a better understanding of artifacts. The fact is that there’s an enormous amount of material in North America that has not been excavated yet, but there’s also quite a bit that has been done. Unfortunately, as I’ve learned since coming to college, it’s mostly kept in university libraries and written in language that no one but a specialist can understand. So although there’s a wealth of information, it largely hasn’t been disseminated into the population at large, and certainly is very difficult for indigenous people themselves to get a hold of–to the extent that many people don’t even realize it exists. One of my major goals is trying to get some of this archaeological knowledge out and available to the indigenous people whose history it is a part of, so we can take some control over our own histories. This is what people think of when they think of history. (Especially books). The majority of historical information in existence on Native people comes from sources written by non-Native people. These records include journals, poems, letters, reports, and more. There’s sometimes a tendency to think of written records as being more “objective” than other kinds of evidence, but most historians would tell you that there’s all kinds of factors you have to consider when you’re looking at a written source: who wrote the document? Why did they write it? Who were they writing for? The background of the creator, the social milieu, their agenda for writing… All of this is especially important when you’re looking at sources written by people about indigenous cultures who are not actually from that culture. If you’re looking to write history from an indigenous perspective like I am, these records are essential because they provide flashes of indigenous people from particular instances of time, but a lot of care has to be taken in coming to understand the indigenous side of the records. There are also written records made by indigenous people themselves. These go back into precolumbian times in records like the screenfold codices of Mesoamerican people, as well as other kinds of sources that some academics don’t like to call “writing” but are clearly at least writing-like records of history, such as the birch bark scrolls made by Anishinaabe people and other Algonquian speaking people in the northeast. There’s also a plethora of sources written by Native people after the arrival of Europeans, in colonial languages as well as indigenous ones. There’s too much to even start to list, and it’s all depressingly ignored by a lot of people–but the fact is that Native people started writing down their stories in the Roman alphabet practically as soon as they were introduced to it, and these sources continue to today. They too have to be carefully examined–certainly the kind of Native people who had access to the resources for writing needs to be looked at (for instance, many early records come from Native converts to Christianity, which is obviously not going to best represent the viewpoint of indigenous people who refused to convert). But these play a crucial role in getting indigenous viewpoints into history. Oral history gets a lot of crap from historians and laypeople alike, because there has long been an attitude that oral history is not “real” history, which is written down in books. Increasingly historians are recognizing that oral history is not inferior history, just a different way of keeping history. The list goes on and on about why people don’t think oral history “works”: it’s unreliable, it’s all just mythology, it’s all been forgotten because of colonization. In the end, this mostly just comes out to the same effect of stubbornly refusing to accept oral history as a legitimate way of telling history. And this is a major problem, because oral history is the primary place where indigenous people have maintained sovereignty over our own histories. There are a lot of cases of indigenous people with oral stories about past events and migrations and ways of life that were initially dismissed as entirely made up but in recent years have been validated by archaeology (e.g. 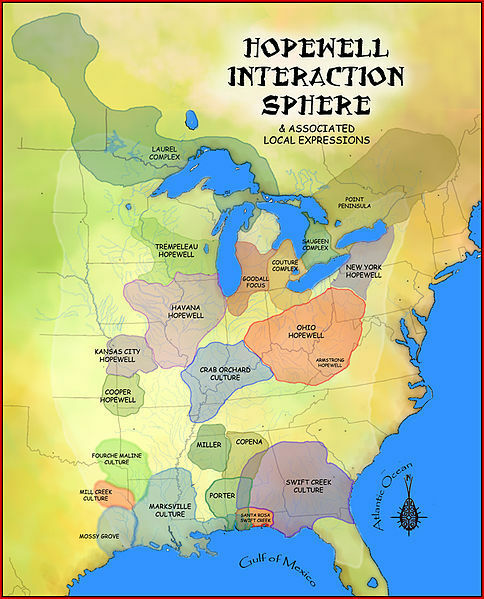 the origins of the Nahua people in the American Southwest, the Dhegiha migration from the Ohio River valley, Choctaw stories about Nanih Waiya and the mound builders). Like with written sources, you need to make sure you understand particular pieces of oral history. Unlike written sources, which freeze a particular moment in time for future generations to see, oral history is a demonstration of what things are deemed so important that they manage to be told even years later. In many ways the analysis of oral history is not, at a structural level, significantly different from analyzing written history. In both cases you need to examine who is speaking, to whom, why… but while academia has developed over a great span of time very precise ways of picking apart written history, the serious academic study of oral history is much younger, and the same kind of technical understanding doesn’t quite exist. This is especially an issue for indigenous people, because in many (if not all) communities, oral histories are part of very complex traditions unique to that particular community. If you’re listening to a Cree story, you’re not going to be able to fully understand it and what it is doing on a meta level if you’re not familiar with the genres of Cree speeches (acimowina, atayohkewina, wawiyatacimowina, kakeskihkemowina), the stylistics of the language used, the allusions to what is assumed to be known by the listener. If you don’t know that, it’s going to be like trying to analyze a piece of literature without any knowledge of the format of novels, nonfiction, letters, newspapers, etc., or the poetic traditions of Europe, or Enlightenment philosophy, or any of the cultural knowledge held in common by your average American. So you get all this information, and what do you do with it? A lot of it is contradictory, or vague, or difficult to piece together. There are endless debates about the accuracy and the ethics of linking archaeology with oral history with historically recorded people with modern indigenous nations. It’s a messy project, for sure. It’s all well and good to say “let’s do this!”, but the actual work of putting this all together and making sense of it is really tough, and there’s not a lot of people who want to or have the skills to properly mix these three rather different fields of archaeology, written history, and oral history. You’ve got academic archaeologists with detailed understanding of their particular specialty, you’ve got the historians who work with all the tiniest documents you’d never imagine exist, you’ve got tribal historians whose knowledge would astound you, but they all tend to exist in isolation from each other. The work of getting a full view of indigenous history in North America involves managing to put all these things on the table with people who know how to interpret them, and to put indigenous people in charge of understanding and telling their own history. Most of the ones I have un-annotated I am either still in the process of reading, or they were really unremarkable, being neither great nor especially horrendous. Books I found especially valuable are starred. Twin Tollans : Chichén Itzá, Tula, and the epiclassic to early postclassic Mesoamerican world, Jeff Karl Kowalski & Cynthia Kristan-Graham, eds. Africans and Native Americans : the language of race and the evolution of Red-Black peoples, Jack D. Forbes. EDIT: (zaagibagaa-giizis 2013) My thoughts on this continue to evolve and I’ve come to realize certain weak spots in what I wrote here. Particularly the stuff about mino-bimaadizin as a historical lens. More thinking needed, take with a grain of salt. Even though mainstream historical/anthropological scholarship doesn’t claim “civilization” to be inherently superior to other way of living anymore, the way they talk about human societies still very clearly shows their belief in the European idea of “progressing” uniformly from a lower, more “primitive” way of life to a more advanced and thus better one. For example, settler scholars writing about Cahokia, the Anasazi, Tenochtitlan, and the Maya. There’s a strong thread in scholarship about these places that basically like, “Look! The Indians managed to get advanced civilizations too! [ergo they are also worthy of being included history]” And especially with Mississippian and Mayan society, there’s a narrative that when the Europeans arrived, people were living in the “aftermath” of the “ruin” of their great civilizations (and that this made them more susceptible to colonization). I mean, I understand why Western-trained writers talk about them this way. They are making analogies to how, for instance, the ‘fall’ of Rome is dealt with in European history. But for an indigenous history, we cannot accept that. As an indigenous person, I ask, “Why is one kind of way of life elevated over another, as though it is improvement?” In particular, I question why a major part of the definition of civilization, having a socially stratified society, is considered a good thing. Really? We’re gonna say having inequality is a sign of progress? Here is the main point of my argument: History is not a linear march of progress and improvement from a primitive state to a better civilized one, but a continuous, cyclical readjustment of life in accordance with the shifting of the environment around us. When I read and talk about indigenous history, I look for how people were trying to live mino-bimaadiziwin. That is, what they did to try to have good conditions (of having enough to eat, a happy family, shelter, comfort) and to live a good life according to their community’s values (following spiritual practices, connection to the community, respecting and honoring, etc). Where this tends to confuse people in the European model of history is that sometimes, the way to live mino-bimaadiziwin leads people to so-called “primitive” ways of life. Cahokia and the Mississippian cultures. Westerner historians treat this like a standard narrative of the rise and fall of “advanced civilization.” They take it for granted that people would move “towards” a stratified society, and are thus confused and constantly trying to find out why it “fell.” The narrative looks different from an indigenous perspective. People moved to villages and cities because they offered a way of mino-bimaadiziwin: Cahokia has shown that it offered abundant shelter and food as well as a strong spiritual grounding. Eventually, however, the changing environment made other ways of life offer the best ways of mino-bimaadiziwin. Weather, crop failure, and health problems meant that living in smaller villages or hunting buffalo offered better material conditions, and it’s likely that the political and spiritual situations (because they were tightly interwoven) were similar. There is no reason to regard life in the cities of the Mississippians as superior to the ones they lived in after. The plains way of life. Although people have always hunted buffalo and lived on the plains, the real height of the horse-based buffalo-hunting way of life didn’t kick off until 1700. To Western eyes, the change from life in sedentary agricultural villages to nomadic hunting ones looks like a regression. But to indigenous eyes, it is a very sensible change in the continuous search for mino-bimaadiziwin. Before the 1700s, buffalo hunting was very beneficial to communities both from a material and spiritual perspective, but it was also very dangerous and difficult to manage on a long-term basis. Starting in the early 1700s, however, horses and guns began to arrive on the plains. This change in the environment (particularly the horses) made it possible to hunt buffalo more or less full time. Hunting buffalo offered mino-bimaadiziwin: food, shelter, clothing, spiritual fulfillment. Even European accounts record that the way of the buffalo hunt was a constant enticement to Native people. Thule and Inuit history. I recently read something that described people north of the tree line as having lived roughly the same way of life for thousands of years. While I suspect there’s much more to it than that, I want to address the Western view that living in the same way for a very long time is bad, or at the very least “stagnant.” In the Western view, progress is assumed the default and thus not only “regression” but also a lack of progress is considered a failure. Looking at this from an indigenous perspective, however, it look instead that people have found a way of mino-bimaadiziwin that is fulfilling within their environment and that the environment has not changed enough to require substantial alterations to that way of living. For certain, it changes constantly and so some changes occurred, but on the whole that method of mino-bimaadiziwin sustained people for a very long time. There’s a ton more stuff I could get into—I’m really excited, there’s a lot in this way of looking at history that I want to explore. Looking at modern indigenous life as a continuation of our seeking mino-bimaadiziwin. How the mino-bimaadiziwin model of history can even be applied to Europe, with some alterations. The importance of recognizing individual peoples’ approaches to history, recognizing that mino-bimaadiziwin comes from specific groups and may not be the most appropriate for all indigenous people. I’m also really excited to see how the ideas Marimba Ani has suggested in Yurugu (such as asili, utamawazo, and utamaroho) can help in an indigenous (specifically indigenous African) idea of history.